1. Get Over, Master, Overcome, Subdue, Surmount : سبقت لے جانا - فتح پانا : (verb) get on top of; deal with successfully. Leen Deen, Suday Bazi : Deal : a particular instance of buying or selling. "It`s not a big deal"
Bara Khema : Top : a canvas tent to house the audience at a circus performance. "He was afraid of a fire in the circus tent"
Latto : Top : a conical child`s plaything tapering to a steel point on which it can be made to spin. "He got a bright red top and string for his birthday"
Muamala Tay Pana, Suda : Deal : an agreement between parties (usually arrived at after discussion) fixing obligations of each. "He made a bargain with the devil"
Chooti, Pahar Ki Chooti : Top : the top or extreme point of something (usually a mountain or hill). "The view from the peak was magnificent"
Kisi Cheez Ki U... : Top : the highest or uppermost side of anything. "Put your books on top of the desk"
How this page explains Sabqat Lay Jana ? We help you understand the word Sabqat Lay Jana in English. We not only provide English meaning of سبقت لے جانا but also give extensive definition in English language. 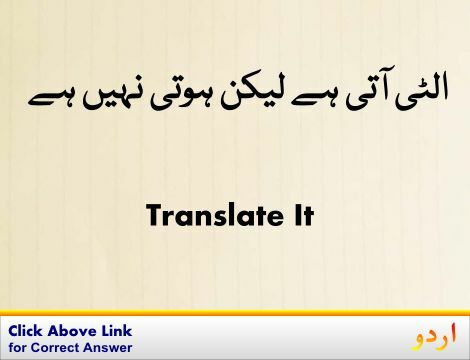 You can also find multiple synonyms or similar words along with Sabqat Lay Jana. You may also want to see Android app to get سبقت لے جانا, please install Wordinn Urdu Android app now.